How are you lovely ladies doing? I was MIA for a few days because of my exams and my braces appointment. I did OK in the exam, but I am in a 50-50 state; I may or may not crack it this time. Enough rambling! Now let’s move on to this post where I am going to share some really simple ‘5–minute’ eye makeup looks. Seriously, hats off to all those legendary beauties and makeup gurus who manage to pull off complicated eye makeup looks every single day. But, for girls like me, a simple winged eyeliner seems like a herculean task. Let’s now take a look at makeup looks that you can do under five minutes. Note – Priming your lids is not included here. 😛 Am I cheating? Yeah a little, but that’s easy and wouldn’t take much time. So, begin every look by priming your lids so that your makeup lasts long. Do your usual eyeliner (I prefer non-winged). Now use the golden shimmer pencil to brighten up those inner corners and also use a bit on the water line to create an illusion of wide-awake eyes. You can enhance this look more with a bit of smudged kohl on the lower lash line and mascara for fluttery lashes. Comb your lashes well and then fill in the sparse areas. Define your brows from the beginning till the end for a defined look. Then, take a shader brush to apply the suggested eyeshadow; concentrate more in the middle. End by applying 2-3 coats of a mascara. You are done. Do go all the way on the upper lash line. Just draw little wings and keep the pigment concentrated on the outer side. Tightline the upper lash line leaving the inner corner empty to create the effect of fuller eyelashes. Give your eyelids a wash of color with an eyeshadow from a brownish or pinkish shimmery color family. Don’t use a lot of it as you want the mascara to stand out. Curl your top lashes using an eyelash curler. Then, using the wiggling motion, apply your mascara on top and bottom lashes. Make sure your lashes don’t get clumpy and messy. Tightlining is optional, but it can add more drama. 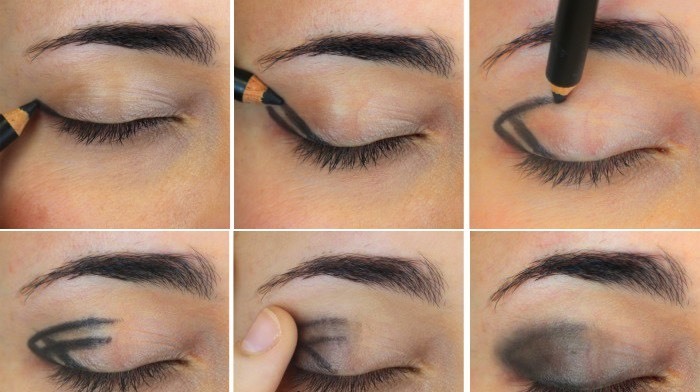 This is the easiest smokey eyes you will ever do. Take your eyeliner pencil and draw the outer shape of your eye. Inside it, draw two lines crossing each other. 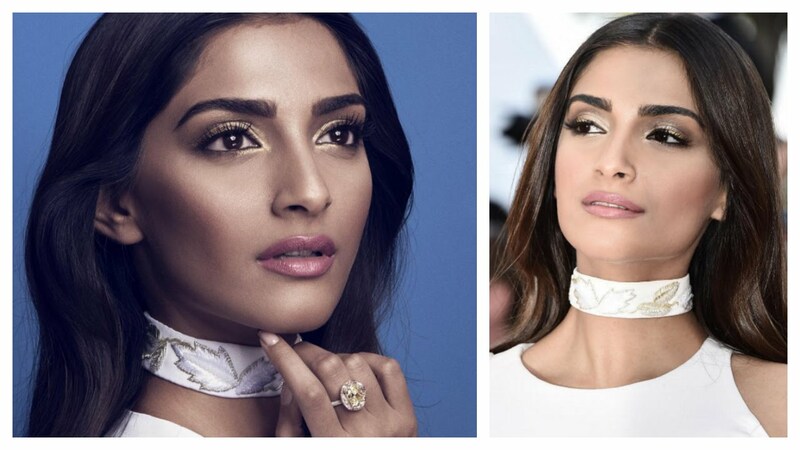 Now use a brush or your fingers and start smudging this eyeliner mimicking a smokey eye look. With smudging, the look will turn smokey and still look subtle. 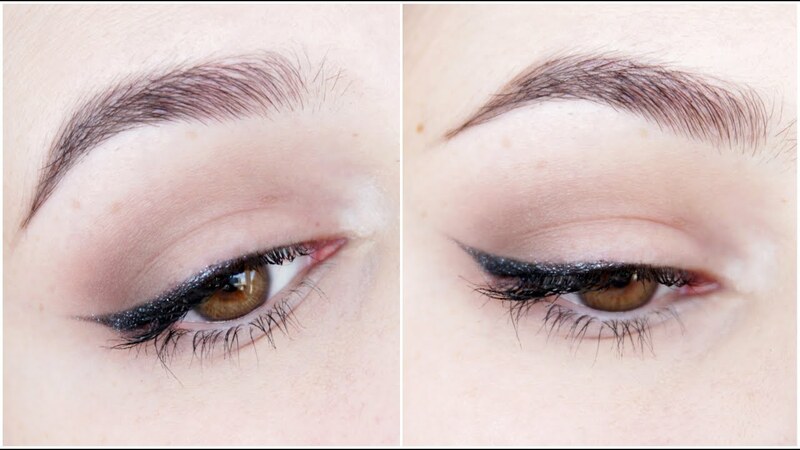 Draw your traditional wing or a simple eyeliner and then trace the same eyeliner shape with the colored liner. This pop of color can brighten up any dull day and it won’t even take five minutes of yours.